R4 billion VIP jet for Zuma? Pretoria - South Africa cannot be seen by the ANC to be their "private plaything", an academic has said following President Jacob Zuma's comments that the party comes before the country. "South Africa is not the private plaything or the piggy bank of the ANC. That cannot be the way we look at things in South Africa," University of Pretoria politics lecturer Roland Henwood told News24 on Monday. "The comments, if [Zuma] said them, are shocking and unconstitutional. South Africa is a constitutional democracy. The president has taken an oath of office... and no organisation is above the constitution." 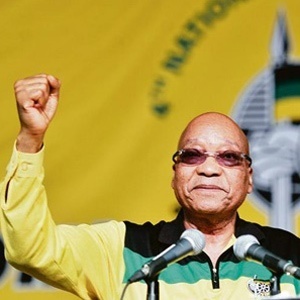 News24 reported that Zuma was speaking in his capacity as ANC president at the party's KwaZulu-Natal elective conference on Saturday when he made the remarks. "I argued one time with someone who said the country comes first and I said as much as I understand that I think my organisation, the ANC, comes first," said Zuma. "Because those people, if they are not part of the ANC and there was no ANC they could be misled. They could be under... oppression forever." Henwood said Zuma's comments could provide some understanding of the recent news that Armscor, the defence ministry's procurement agency, is planning to buy Zuma a new plane that could cost as much as R4 billion. He said this was not the type of message to send to the whole of South Africa. "They [government] say, 'there is no money for this or no money for that', and say that South Africans have to 'tighten their belts', when this is a massive amount to spend on one person. "It sends the wrong message in this difficult time in South Africa. It is over the top compared to other countries." Henwood said some could argue that Zuma was taking a more global role and needed to appear as a world leader. "What about him being the president of South Africa?"